FWC has released its latest red tide update. As of August 24, much of the report was similar or the same as the August 22 report. FWC says minimal change in cell concentrations was observed for most areas relative to last week. 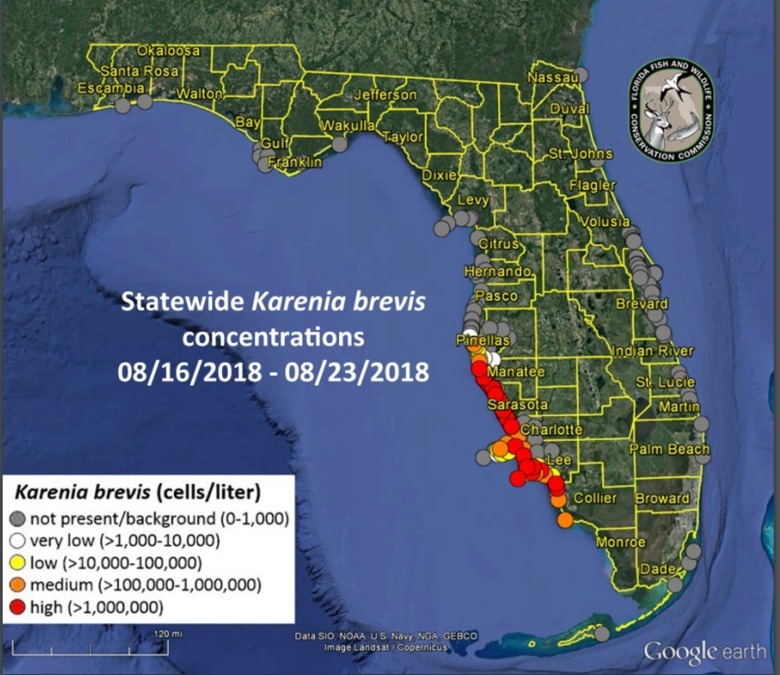 Coastal currents important for transporting cells of K. brevis continue to alternate between predominantly northern or southern flow, the agency says. Fish kills were reported for multiple locations in Pinellas, Manatee, Sarasota, Charlotte, Lee and Collier counties. Respiratory irritation was also reported in those counties. To see the full FWC red tide status report, click here .